David Tennant. Billie Piper. Pauline Collins. Anthony Stewart Head. Noel Clarke. Drama. Made for TV. Science Fiction. Comedy. Action/Adventure. Family Viewing. 01 Dave B's must sees. 19th Century. 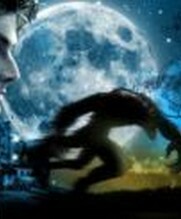 Werewolves. 18th Century. Recommended. Further new adventures of the time-travelling Doctor and his companions...Tooth and Claw; the Doctor and Rose are transported to 19th Century Scotland, where they meet Queen Victoria and must protect her from a ravenous werewolf and a band of assassinating warrior-monks.School Reunion; the Krillitanes - aliens with a mix-and-match physiology - are trying to crack the 'God-Maker', a paradigm that will give them ultimate power. They are using children as a computer and only the Doctor and Rose, re-united with Sarah Jane Smith and K9, can prevent them from becoming masters of time and space.The Girl In The Fireplace; the Doctor, Mickey and Rose land on a spaceship in the 51st century only to find 18th century Versailles on board, the time of Madame De Pompadour! To find out what's going on the Doctor must enter Versailles and save Madame De Popmpadour but it turns into an emotional roller coaster for the Doctor. Hot stuff.